Electronic Music live video streaming platform BE-AT.TV recently announced the acquisition of non-commercial Ibiza radio station Ibiza Sonica, a leading online and FM radio station committed to spreading the music of Ibiza worldwide. Ibiza Sonica was founded in 2006 by Igor Marijuan and Miguel Valverde in an effort to deliver the best of Ibiza’s underground sounds worldwide, with the station’s simultaneous Internet and FM broadcasts reaching listeners around the world. With apparently over 10 million listeners per month, Ibiza Sonica's exclusive content features a mix of the freshest Ibiza tunes, international guest DJs and live on-location broadcasts from some of the biggest club and festival events. The San Rafael-based Sonica complex also comprises a record label, recording studio, touring agency, events broadcast services and management services for a number of additional branded radio stations. As part of the acquisition, Igor Marijuan and Miguel Valverde will continue their roles as joint managing directors. 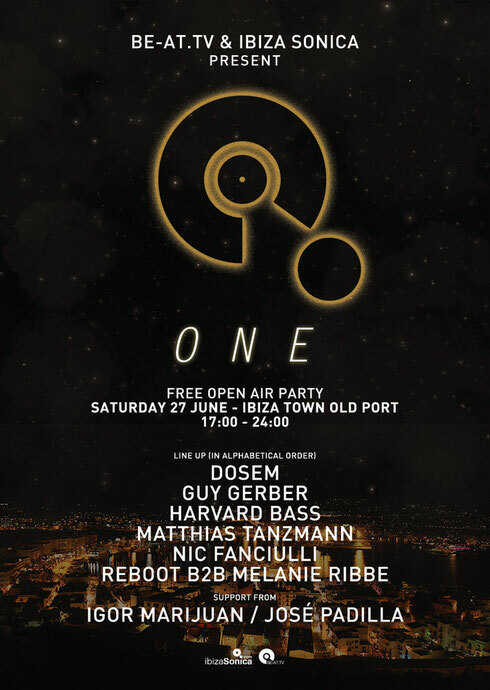 To commemorate the acquisition, BE-AT.TV and Ibiza Sonica Radio are presenting an outdoor launch party, One, tomorrow in the Ibiza Town Old Port. 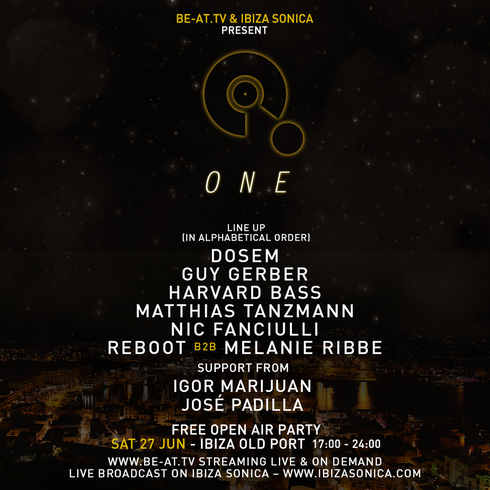 The event is free and open to the public, with room for up to 15,000 fans, and will be broadcast live on BE-AT.TV and Ibiza Sonica. One features (in alphabetical order) Dosem, Guy Gerber, Harvard Bass, Matthias Tanzmann, Nic Fanciulli, and Reboot b2b Melanie Ribbe, with support from Igor Marijuan and José Padilla. In addition, Ibiza Sonica will be moving to a new FM frequency, 92.4. "Through the acquisition of Ibiza Sonica, we want to bring Ibiza to the world. Leveraging the same technology and amplification tools that we use on BE-AT.TV, Ibiza Sonica will be the window into all things Ibiza," said Ray Smith, CEO and Founder of BE-AT.TV. "If you don't have the time, money, or effort to get to Ibiza, we will bring the Island to you, accessible 24/7 via internet radio, web, and mobile." "This partnership brings new scope not only for all electronic music lovers but also for artists and the music industry in general," said Igor Marijuan, founder of Ibiza Sonica.